Target EHR – Target View Schedule. 1 Target EHR – Target View Schedule. 3 Target Schedule – How do I View My Target Schedule? 5 Target Mobile Schedule Login – MyTime. 6 Target Schedule Login – Important Information. 7 Target eHR Phone Number. How do I view my Target schedule online with Target EHR or from the mobile app? Target EHR is the official Target Team Member Services employee platform. It was established by Target to provide better anf faster services to their 345.000 employees, and offer them a fast, secure way to view Target schedules, benefits, and paystubs online. Visit https://itgtpb.target.com/ from your internet browser. Write the Target LAN ID (Employee ID) in the Username field. If you do not yet have access to a Target LAN ID, then simply enter your 8 digit Target Team Member number. Write your Target EHR Password in the Password box. Click on the “Logon” button. New employees must first decide on a password first before they can sign in to EHR. To create a password, find the “Target Workbench” on the in-store computer, and write your 8 digit Target Member ID number. Then click on the“forgot password” link for a new password. Target Schedule – How do I View My Target Schedule? How do I view my Target schedule online and from home? Visit the Target SSO page at http://target.com/myschedule. The page directs you to the new login page beginning with https://logonservices.iam.target.com/login/. Write your Target Login ID in the “Login ID” box. Write your Target password in the password box. After logging in, find and click on the “Scheduling and Timekeeping” button, and then click on “View my Schedule”. It is also possible to view your Target Schedule online, via the “Kronos Mobile” app. Download the Kronos Mobile App” and sign in with your Target eHR login credentials. Enter the server as: https://mytimemobile.target.com, when signing in with the Kronos Mobile App. Target SSO is an abbreviation of Target Single Sign On. It refers to an alternative login page found at https://seclogin.target.com/securitybrokerage/forms/login.fcc and https://mytimemobile.target.com/. If you want to log in and view your Taget schedule from a mobile phone, then head to the Mobile Optimized login page at https://mytimemobile.target.com. Target Mobile Schedule Login – MyTime. If you are logging in from a mobile phone, visit the https://mytimemobile.target.com/ mobile optimized login page, when attempting to sign in. Target Schedule Login – Important Information. 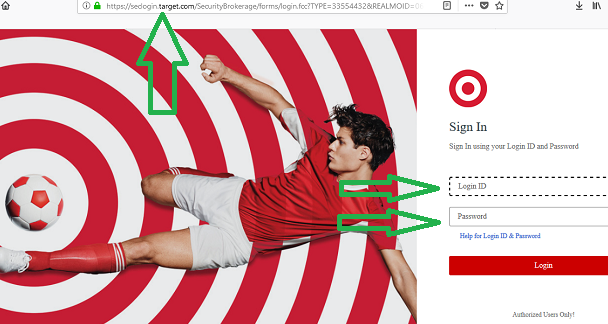 Your Login ID number for the Target Schedule page is your “Target LAN ID” or your “Target Team Member Number”. The Target LAN ID will be a combination of letters, as well as numbers. Target LAN ID is mainly used for signing in to the Target in-store computer. Examples: The Target LAN Login ID looks like Z002XYZ or A367561. Team Member Number looks like 19856237. Your “Target Team Member Number” is the number that you find on time clocks. it is NOT possible to request time off from your home computer. Do it from the in-store computer. Call the Target Client Support Center (CSC) on 1-612-304-HELP (1-612-304-4357), if you are experiencing login problems. Check that the CAPS LOCK button is OFF on your computer keyboard. All Target User IDs and passwords are case-sensitive. Try another browser. Try Chrome, Internet Edge or Mozilla. Try opening your browsert in “Incognito Mode”, and log in, or clear your browser cookies. Try logging in from your mobile phone or from another computer.